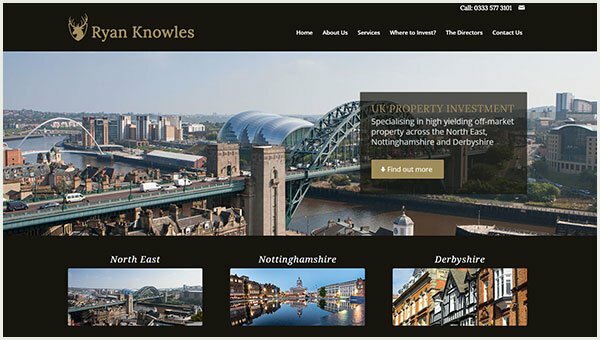 Ryan Knowles are an exciting new property company; specialising in off-market property investment in Nottinghamshire, Derbyshire and the North East of England. Piers wanted a website to highlight the professional services that Ryan Knowles offer. Particular emphasis was placed on mobile/tablet design, with many investors being overseas or international travellers.